Combination Pheasant Pad. 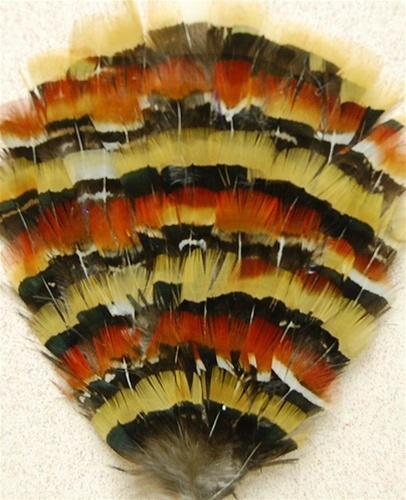 Made from Feathers of the Lady Amherst and Golden Pheasant Birds. 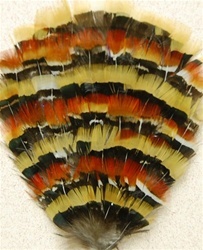 A very nice combination that is used in Millinery, Headbands, Crafts and Various other acsesories. Sold by theDOZEN only.